Woods Hole is a very special place. It can also be absolutely terrifying for the boater traveling through it for the first time. In town, it’s truly unique. Although it does have the look of a Southcoast Seaside Town, it’s also a serious commercial town in that the Oceanographic Institution is also based here. View from the old Fishmonger (now Water Street Kitchen). On of the special Dock and Dine venues where you can keep an eye on your boat while you eat! Although I have eaten there many times, my favorite spot – The Fishmonger has changed hands and is now called the Water Street Kitchen. Since I have never eaten there, I can say if it’s as good as The Fishmonger, but I did love the old spot. According to my favorite dining research spot – yelp.com, the new place should be very good. They’re sporting 38 reviews and most are 5.0’s or high 4’s — very tough to achieve. Now as far as Dock and Dines go, this place is truly hit or miss. There is a single landing to tie up at just before the draw bridge. On top of the limited dockage, also be aware that it’s not actually a dock; it’s just a row of pilings that could do serious damage to your boat without properly mounted bumpers (see my report on The Black Dog Wharf for instructions). NOTE: Not a dock, just pilings – set your bumpers wisely! Also be fair warned that the Woods Hole Marine website can trick you into going under the draw bridge and wasting 30 minutes waiting for it to open. 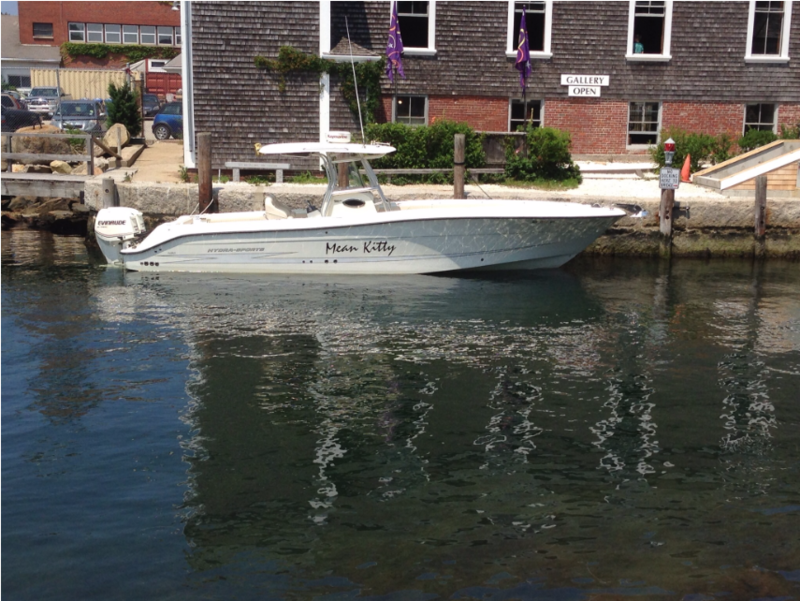 “At Woods Hole Marine we currently offer slips and moorings. Accommodations can be made on our dock for boats up to 50 feet. Reservations are highly recommended as transient space can be limited during the season. I fell for this crap one early August Monday at 4:00 PM and spent 30 minutes touring the puny little Eel Pond calling the helpful Office Manager Karen on the phone and VHF in vain looking for a transient space. 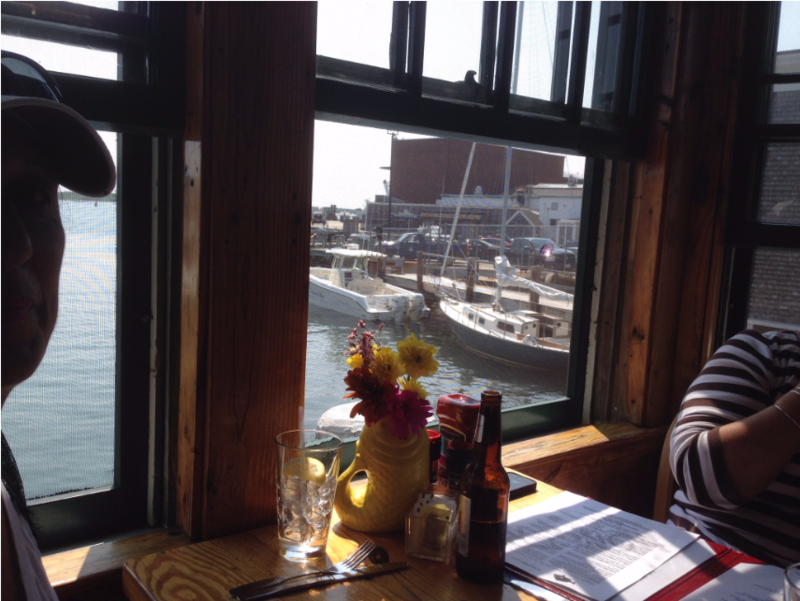 Despite all this, Woods Hole is a very special Dock and Dine venue and worth a try. The good news is that if it turns out to be full, you’re less than 10 miles from Kingman Marine, Falmouth, or Black Dog Wharf. By the way, during the summer, you can still visit Woods Hole by boat without tying up at the pilings by the draw bridge. The town of Falmouth operates one of those imitation Trolleys that pass near the Falmouth Town Tie-up and runs through downtown and on to Woods Hole. It’s called Whoosh and you can click here for more information. I’m not really sure if and when the best time might be to land a spot at the pilings, but I’d guess midweek and I’d guess a little after 11:00 AM. Take in lunch at the new Water Street Kitchen of hit up yelp.com for other recommendations. Although the shopping is somewhat limited, you can grab the Whoosh Trolley and head to downtown Falmouth where you’ll find unique shops and more dining options. After your visit to Woods Hole, you head back into Buzzards Bay and bang an immediate left to enter Hadley’s Harbor, drop anchor, and enjoy a sweet afternoon watching the boats go by with an adult beverage in hand!